This East African Safari: Kenya and Tanzania Luxury Tour was created for 2 couples from Arizona who were traveling together. They were very high-end travelers who wanted to experience the height of luxury as well as Africa’s best wildlife viewing. They started with a night at a very luxurious hotel in Nairobi for some relaxation before their adventure. Then, they flew to the exclusive Lewa Conservancy in northern Kenya to begin their African wildlife safari. Here, they had incredible sightings of rare black rhinos, and even went on a horseback safari—one of the highlights of their trip! 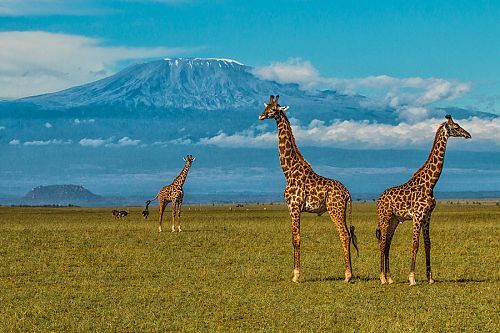 Next on their East African Safari: Kenya and Tanzania Luxury Tour, they flew down to the world-famous Masai Mara National Reserve to see the Great Migration. They spent 3 nights at the ultra-luxurious Mara Plains Camp with a perfect location to see a Great Migration river crossing. 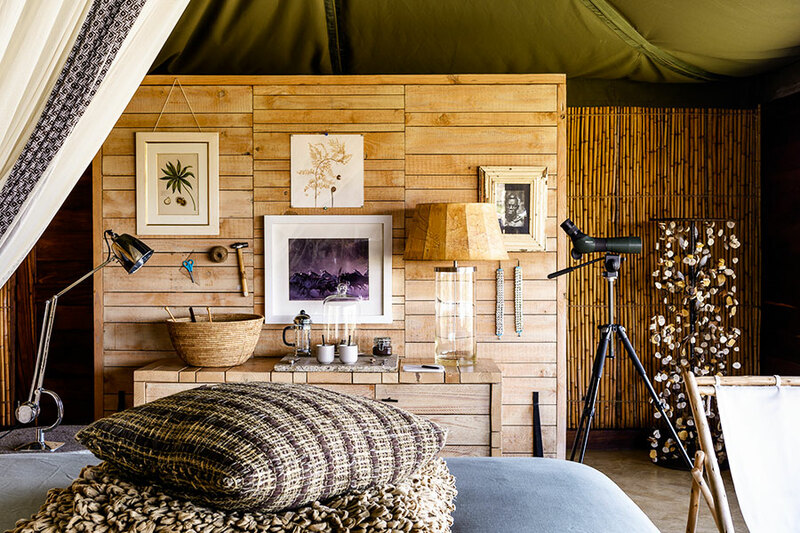 They loved the opulent, yet adventurous feel of their tented safari camp with breathtaking views over the African plains. They continued their Great Migration safari in Serengeti National Park, one of Africa’s must-see wildlife destinations. Having already seen a fantastic river crossing, they decided to spend their days on safari tracking down the other wildlife in the area: lions, leopards, zebras, giraffes, elephants, and much more. One special morning, they were treated to a magical hot air balloon safari over the Serengeti. 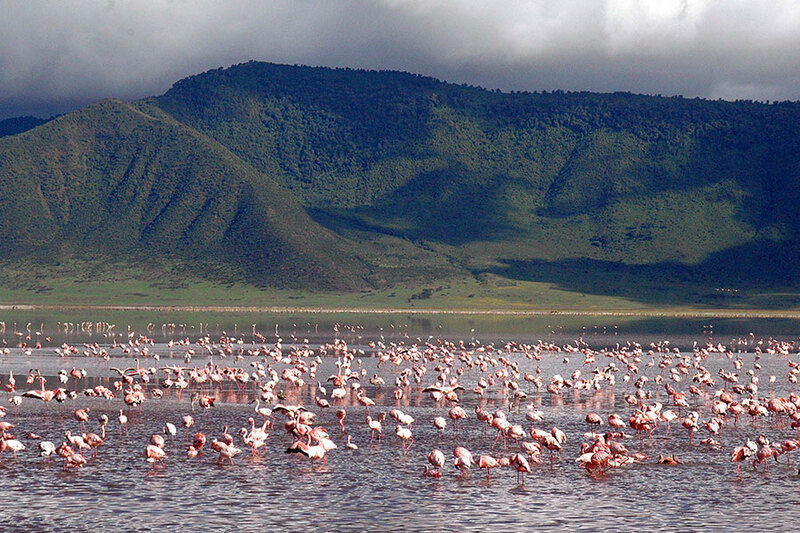 The next stop on their East African Safari: Kenya and Tanzania Luxury Tour was one of Tanzania’s most famous attractions: the Ngorongoro Crater. They spent 2 nights at &Beyond Ngorongoro Crater Lodge. 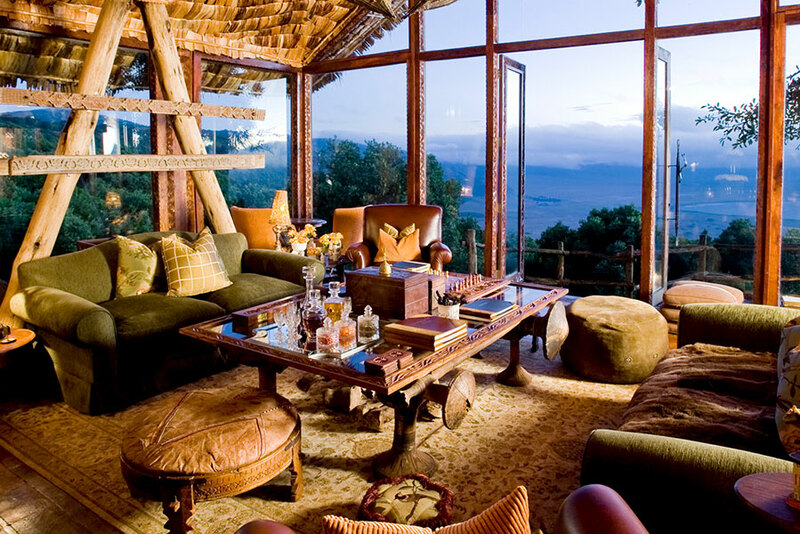 This spectacular lodge is one of the most luxurious options in Ngorongoro, situated right on the crater rim with gorgeous views down below. 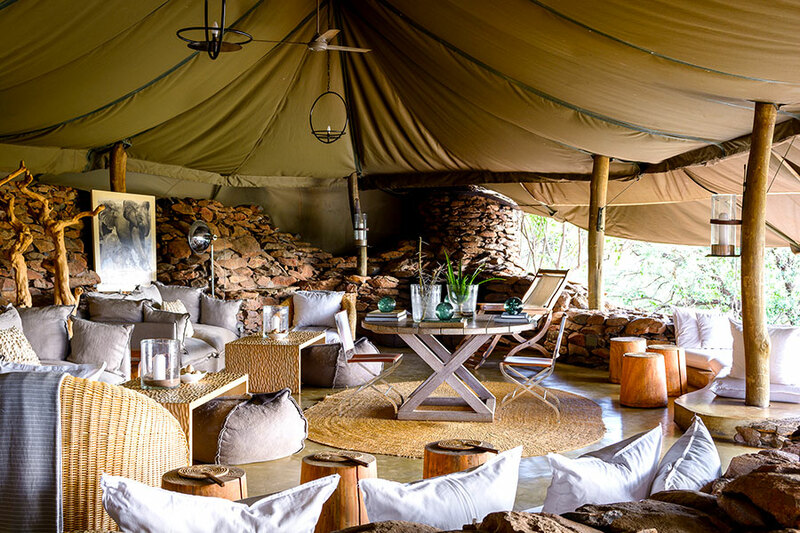 After hitting the top highlights of Kenya and Tanzania, they opted for a more off-the-beaten-track destination: Little Chem Chem, where just 10 guests at a time enjoy exclusive access to a 16,000-hectare private conservancy. They decided to do something a little different and enjoy a walking safari, which ended up being the adventure of a lifetime! 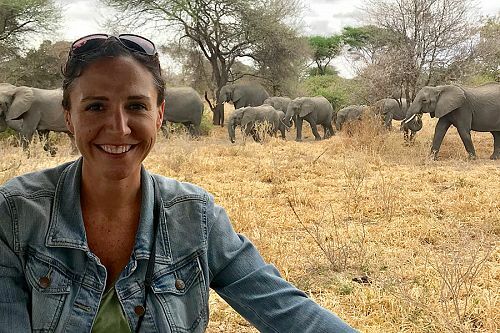 The area around Little Chem Chem is famous for its large herds of elephants, which our guests were lucky enough to see on foot—a truly thrilling way to end their incredible journey. Your epic safari adventure begins! 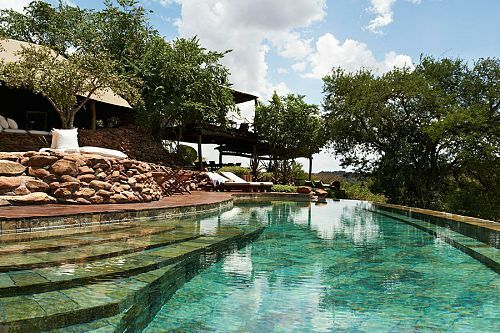 Fly to northern Kenya and Lewa Wilderness lodge, your home for the next 2 nights. 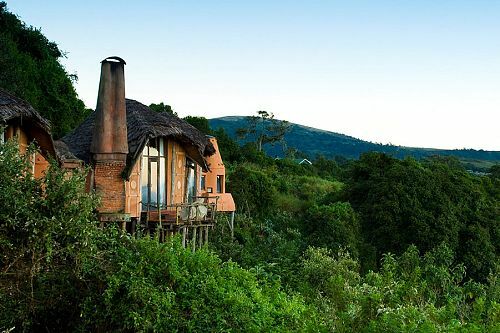 This unique, family-owned property offers a special opportunity to discover a side of Kenya that most visitors don’t get to see. 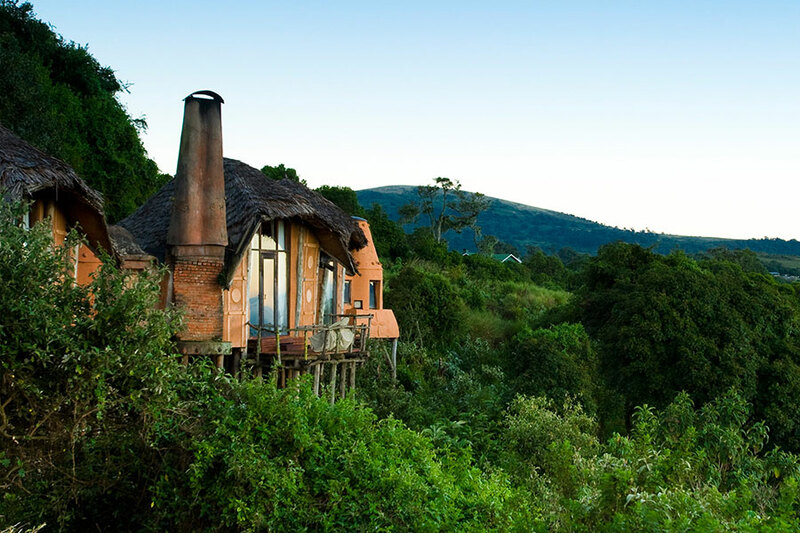 The luxurious, individual cottages were built to capture the stunning views out over the valley and the sound of the river below where elephants, giraffes, rhinos, zebras, and more all come to drink. The Lewa Conservancy is home to 10% of Kenya’s black rhino population, so it’s one of the best places in the world to see these rare endangered animals! 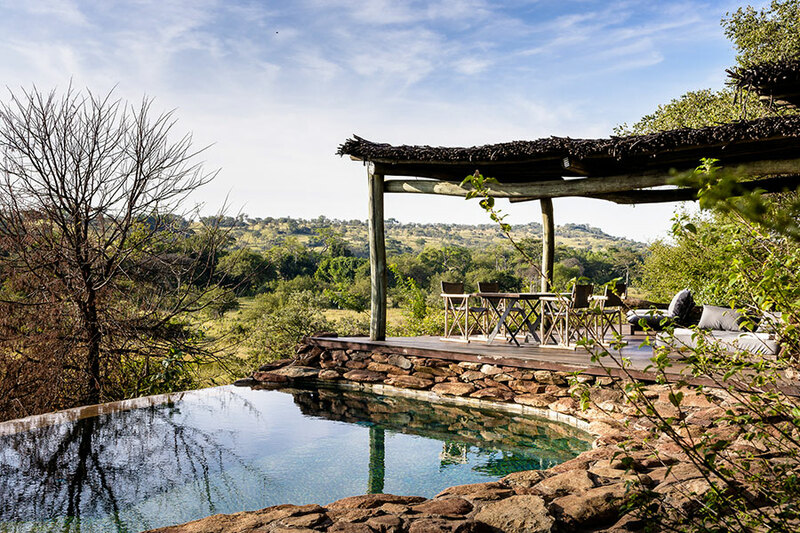 In addition to Big 5 game drives, Lewa House offers some unique adventures including horseback or camel rides and helicopter excursions. We highly recommend adding a flight to your travel package so you can see Kenya from above. You’re off to see one of the highlights of East Africa: a Great Migration safari! 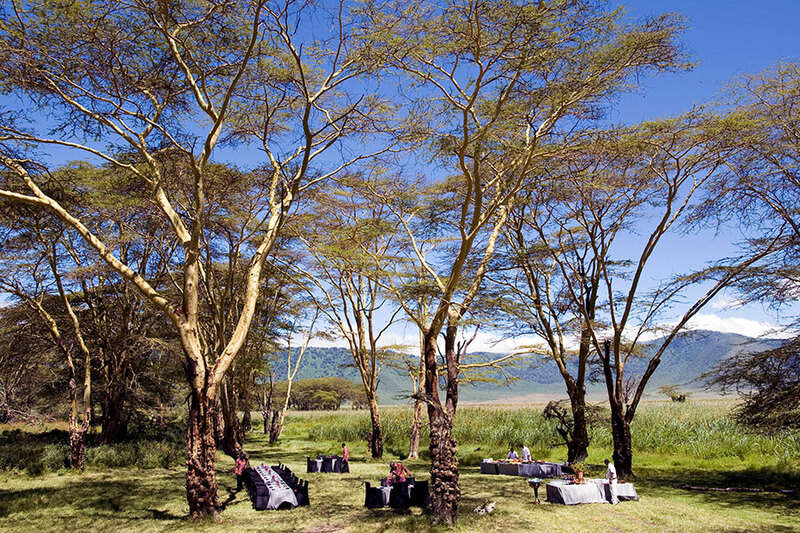 After breakfast, you’ll be transferred to your flight to Mara Plains, a luxurious safari camp in the famous Masai Mara. 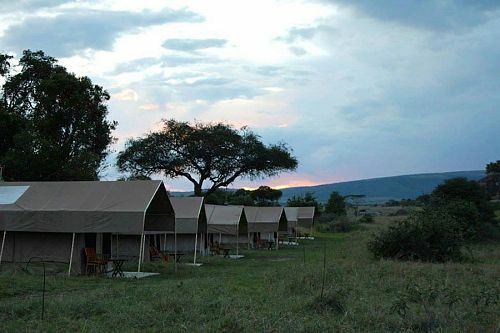 The position of your tent provides you with the most incredible vista available in the Mara. This, combined with the luxurious interiors, high-end attention to detail, and access to incredible facilities, makes this a must-stay property. 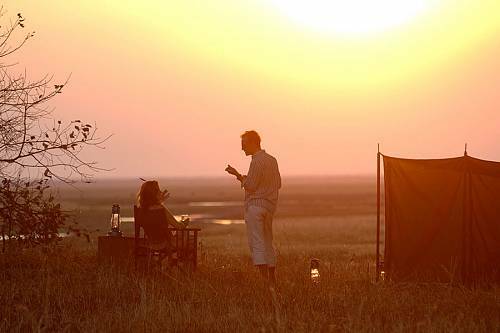 After lunch, there will be time for an afternoon siesta and an evening game drive, followed by a drink as you watch the Mara’s spectacular sunset, rounding off another fabulous day on safari. Say goodbye to Kenya and hello to Tanzania! 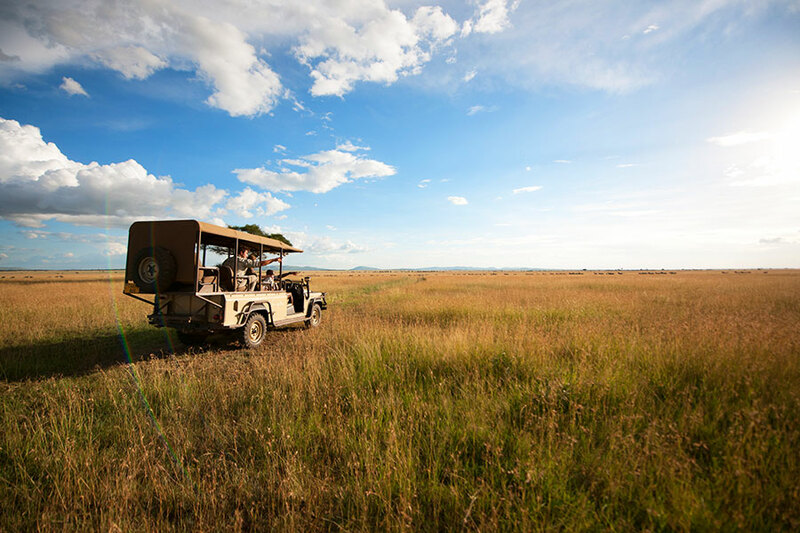 Fly to the northwestern Serengeti, then enjoy a transfer to Singita Faru Faru Lodge. 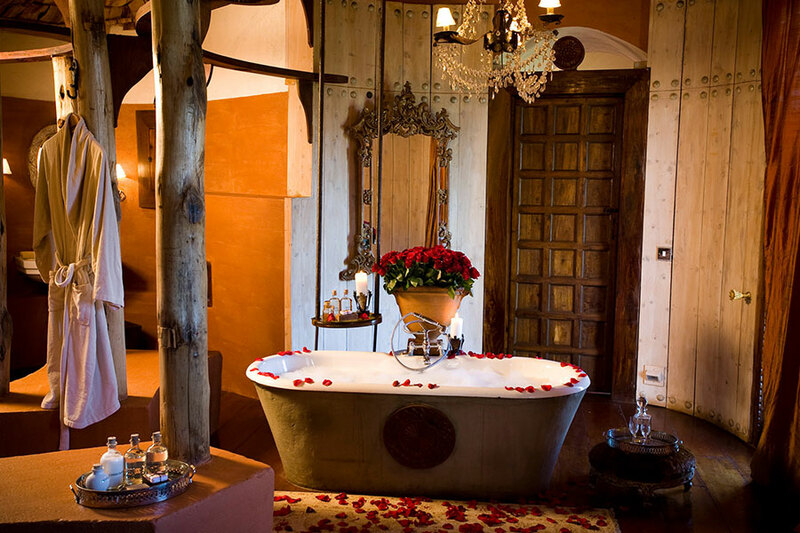 Check into your luxury suite with lovely views over the African savannah before setting off on an exciting afternoon game drive. Return in the evening for a delicious dinner and sample the lodge’s world-class wine list. On your game drives, witness the massive concentrations of wildebeest, zebras, and other animals that mark the annual Great Migration—the greatest natural spectacle to be found anywhere in the world. 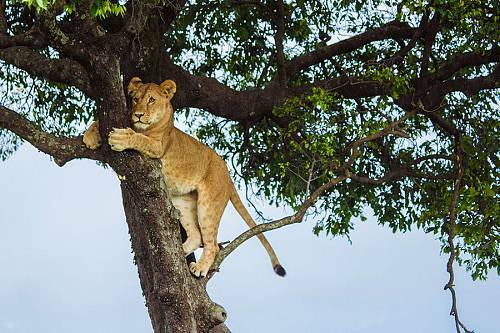 Keep your eyes open to spot lions stalking the migrating herds and leopards resting in the trees at dusk. Enjoy one last game drive in the Serengeti in the early morning before you depart for the world-famous Ngorongoro Crater. 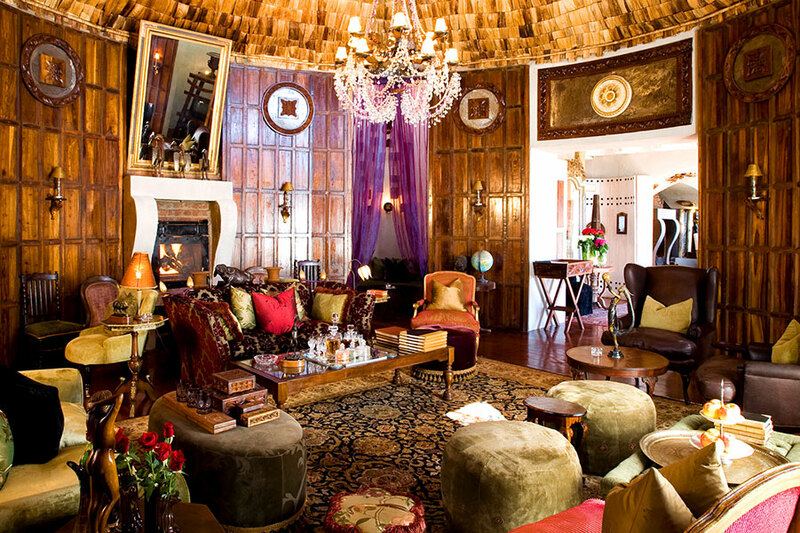 Your home for the next 2 nights is the luxurious Ngorongoro Crater Lodge. 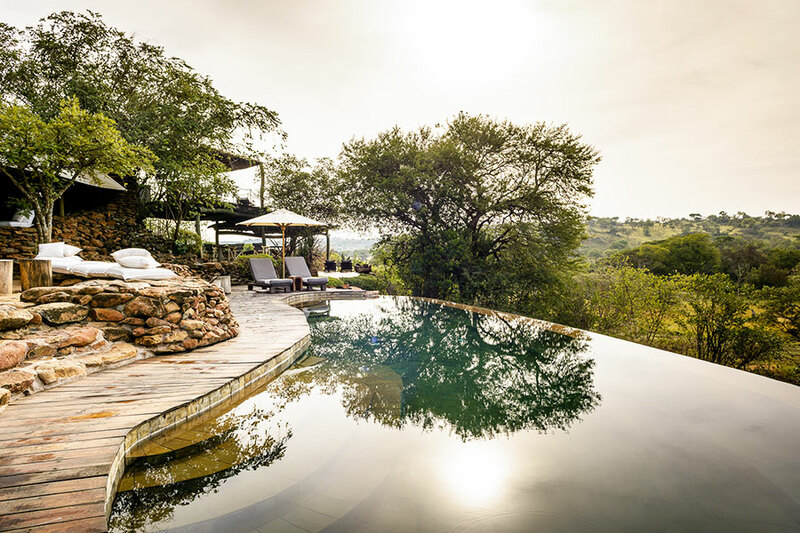 Your fabulous accommodations are situated on the edge of the crater itself, giving you unparalleled views of this stunning African landmark from the moment you rise in the morning. 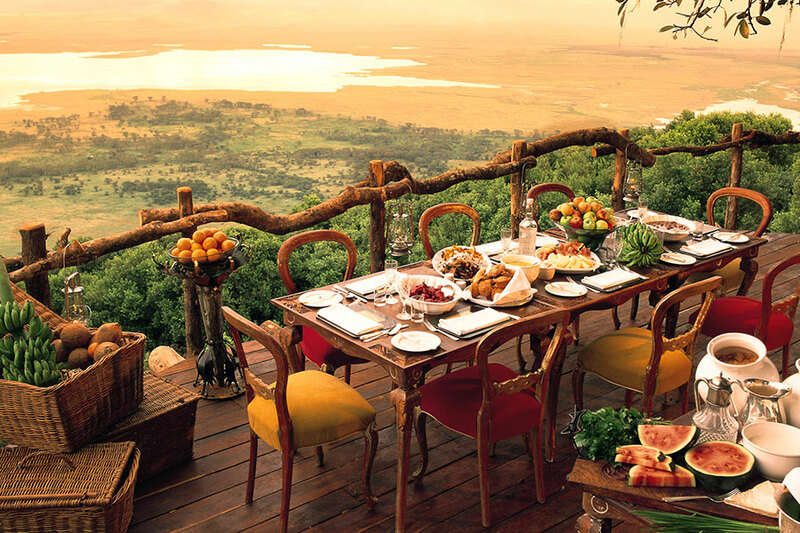 During your game drive in Ngorongoro Crater, enjoy a tasty hot lunch served in breathtaking surroundings at a private picnic spot on the crater floor. Return to the lodge in the evening and enjoy a sundowner cocktail while watching a truly magnificent sunset over the crater rim. After breakfast, you will meet your driver and vehicle and head toward the Great Rift Valley, descending the escarpment and making your way toward Tarangire National Park. 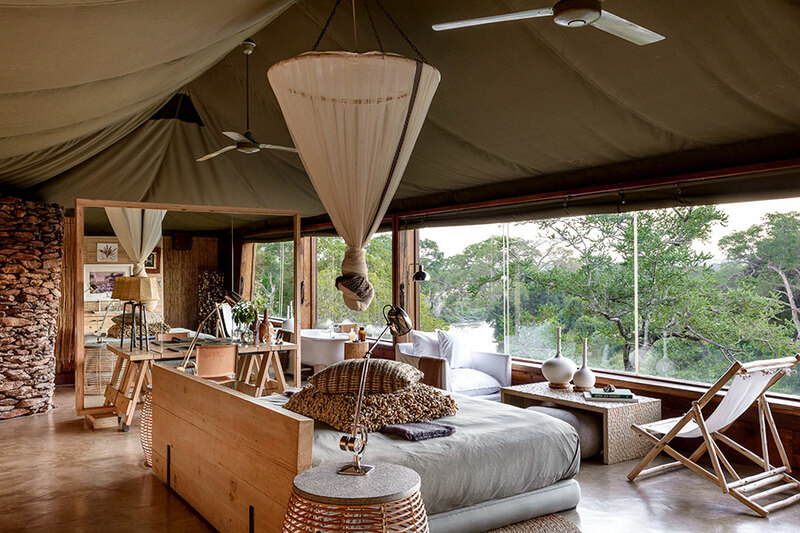 Cap off your East African safari at Little Chem Chem—a fabulous boutique camp in the heart of pristine wilderness. 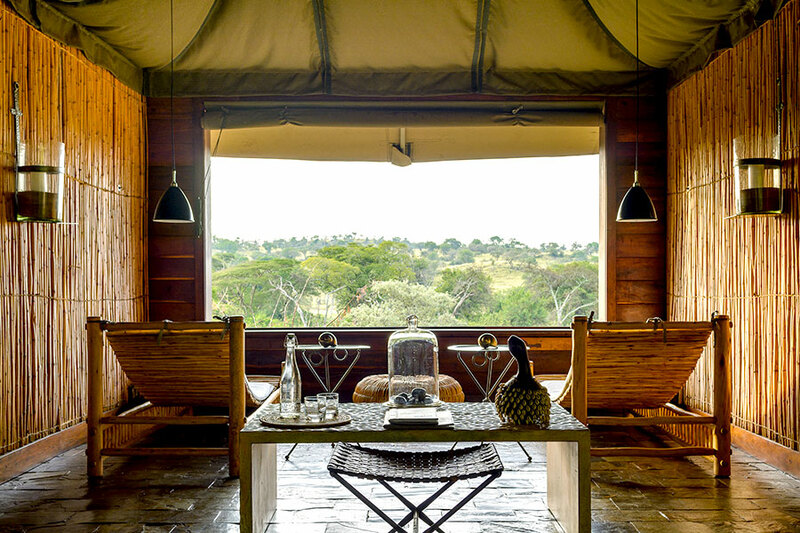 Experience the raw drama of the East African bush in a very private setting. 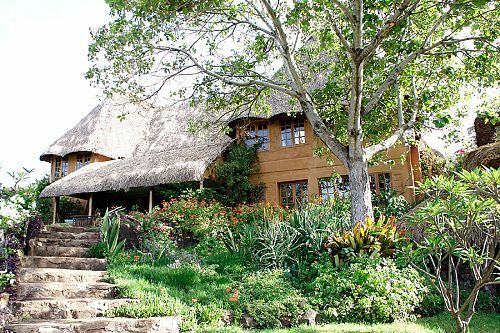 This gem, on a 16,000-hectare exclusive concession, adjoins the Tarangire National Park, famous for its towering baobabs, and overlooks the serene Lake Burunge. The large amount of land shared between just 10 guests at a time ensures your safari experience is intimate and authentic. 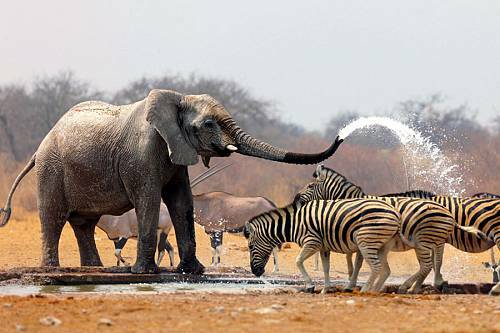 Over the next 2 days, you will visit the elephant-filled Tarangire National Park. Tarangire extends over some 1,615 square miles in the Rift Valley. Arid and studded with giant termite mounds, it is here that you can witness massive herds of elephant, with some reaching as many as 500, and perhaps even some rare tree-climbing lions. Explore the area on day and night game drives, or step out of the vehicle for an exhilarating walking safari. Cultural interactions with some of the local Maasai people are also available. 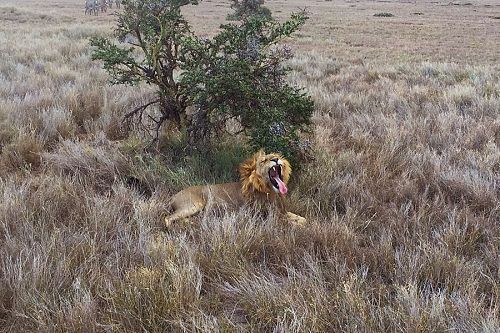 Enjoy your final game drive this morning before a road transfer to Arusha for lunch. From here, you will be transferred to Kilimanjaro International Airport for your onward flight home.